Qualia Review – The Ultimate Red Pill or Blue Pill? Qualia definition (per Google): n., the internal and subjective component of sense perceptions, arising from stimulation of the senses by phenomena. 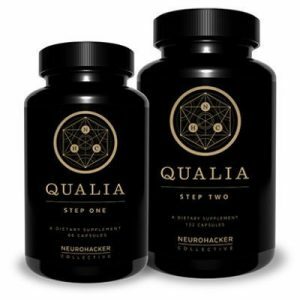 In the case of Qualia, the nootropic stack by Neurohacker Collective, the “component of sense perceptions” are the cognitive enhancement results afforded by the “phenomena” of Qualia’s 42 ingredients. That’s a lot of MF phenomena. The immediate question then is: Is that too much phenomena? For most big-name supplements, the answer is usually yes — however, Qualia is not your usual big-name supplement, and, given the pedigree of researchers & developers behind the Qualia project, this seems a supplement actually capable of acting on such high ambitions. But, of course, the problem with lower-case qualia is the “subjective” aspect of sense perceptions. So, let’s consider this review a personal N. Geek attempt at measuring the objective value of upper-case Qualia’s true nootropic potential. Qualia: The Ultimate Red Pill or Blue Pill? Created by Neurohacker Collective, Qualia is an advanced two-part Step One + Step Two comprehensive brain health supplement. Step One: 12 ingredients packed into 3 clean veggie capsules, first thing in the morning. Step Two: 30 ingredients packed into 5 tablets, taken 20 minutes after Step One with a meal. Neurohacker Collective incorporates collectivism in both its design & business philosophy, opening its company to the public for open investment opportunities. Other Ingredients: Nu-FLOW™, Vegetable Cellulose. Other Ingredients: Nu-FLOW™, Croscarmellose Sodium, Microcrystalline Cellulose. Directions: Take three (3) Step One capsules first thing in the morning on an empty stomach. 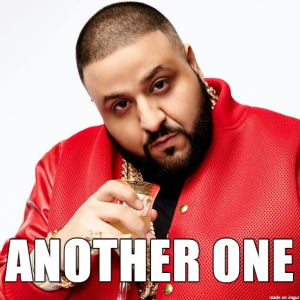 Wait at least 20 minutes, then take five (5) Step Two tablets with food. Step Two must be taken with food to avoid stomach sensitivity. Vitamin B12 (Methylcobalamin) – Proper B12 supplement form, heavy dosage – may improve cognition for elderly & vegans, but not entirely necessary for the average, healthy nootropic user. More on Vitamin B12. Artichoke Leaf Extract (5% Cynarin) – The nootropic aspect of artichoke extract relates to its antioxidant & bloodflow benefits, although these benefits are viewed as mild as compared to other notable antioxidant compounds, such as turmeric (See: Step Two Ingredients). Rhodiola Rosea Extract – Premium extract, solid dosage of a powerful adaptogen herb, reduces stress & fatigue for improved mental & physical performance. More on Rhodiola. DL-Phenylalanine – Combo of D-phenylalanine & L-phenylalanine, essential amino acids to the function of the central nervous system. As a nootropic, DL-phenylalanine may benefit mood & anxiety levels. Centrophenoxine – Essentially a better, more absorbable option to DMAE, carrying much of the same cognitive booster benefits of DMAE, which is believed to primarily benefit elderly cognition. N-Acetyl Tyrosine – This NALT form is better than standard L-tyrosine, an anti-stress amino acid that improves mood & focus during stressful conditions (e.g., exams, exercise, etc.). More on Tyrosine. Purenergy™ (Caffeine and pTeroPure™) – A unique combination of caffeine (you know what that is) and pterostilbene, an antioxidant compound similar to resveratrol, except 4x more bioavailable. Trademarked antioxidant energy. More on Caffeine. L-Theanine – You can’t consume caffeine without this bad boy: L-theanine is an anxiolytic amino acid capable of reducing the jittery side effects of caffeine without diminishing its focus-enhancing benefits. More on L-Theanine. Noopept – Similar to piracetam, the standard racetam supplement, except much more potent & stimulating, achieving the cholinergic memory & focus benefits of piracetam minus the long wait time. More on Noopept. DHEA – Not too sure about this one. DHEA made a small splash in the bodybuilding community for its steroidal prohormone status, which was found to be ineffective at actually increasing testosterone or muscle gains. Believed to improve mood & cognition, despite a lack of research on this point. What it will do is trigger a positive drug test as per the WADA Prohibited Substances List, so competing athletes beware. Coleus Forskohlii (20% Forskolin) – Often supplemented as a fat burner, Coleus forskohlii extract seems to spike cAMP activity, potentially improving neuron-to-neuron communication as well as fat metabolism. Coupled with artichoke extract, which protects against cAMP inhibitors, Qualia’s Coleus may hit a synergy sweet spot here for accelerated LTP neuronal growth. BioPQQ™ – Quality trademarked PQQ ingredient. While human research is lacking, one weak study suggests PQQ may improve stress, sleep, & fatigue. Even more interesting, PQQ is believed to possess an antioxidant status that’s 5000x as powerful as vitamin C, potentially offering significant neuroprotection to Qualia. More on PQQ. Bacopa Monnieri Extract – Awesome Ayurvedic adaptogen, alleviates stress while promoting memory & learning. Requires long-term supplementation to achieve peak effect. More on Bacopa. Citicoline (CDP Choline) – A personal favorite, this rich source of choline & cytidine (precursor to uridine) complements Step One’s Noopept well, accomplishing the potent nootropic choline + racetam stack, which is further enhanced by Step Two’s alpha-GPC (see below). More on Citicoline. Ginkgo Biloba Extract – Perhaps the oldest natural nootropic known to man, Ginkgo’s roots trace back to the dinosaur days, benefiting circulation & working memory for thousands & thousands & millions of years of enhanced cognitive performance. More on Ginkgo. Huperzine A – In tiny doses, this semi-synthetic drug inhibits acetylcholinesterase, the enzyme responsible for catalyzing the breakdown of neurotransmitter acetylcholine. More on Huperzine A.
Mucuna Pruriens Extract – Super hot 98% standardized extract for L-Dopa, the precursor compound to feel-good chemical dopamine as well as a stimulator for luteinizing hormone & growth hormone. Vinpocetine – Another semi-synthetic drug, except this one enhances cerebral circulation, much like ginkgo. More on Vinpocetine. Alpha GPC – Essentially a richer source of nootropic choline (than citicoline) per serving, minus the brain healthy cytidine constituent. More on Alpha GPC. Phosphatidylserine – Nootropic phospholipid that improves cognition & brain health by clearing the brain of neurotoxins & bolstering brain cell-to-cell communication. More on Phosphatidylserine. Curcumin Root Extract – Spicy antioxidant in support of total brain & body longevity, perhaps the greatest for nootropic purposes, one of the already many antioxidants in this free radical demolishing formula. More on Turmeric. Lion’s Mane Extract – Very exciting shroomy ingredient, one of few found in nature believed to promote nerve growth factor (NGF) activity. Holds major clinical potential in neuroprotection & neuroregeneration. More on Lion’s Mane. The remaining ingredients range from vitamins & minerals (B vitamins, vitamin C & D, zinc, etc.) to more antioxidant/anti-inflammatory compounds (quercetin, algal DHA, green tea extract, etc.). For the most part, all of these ingredients are of exceptional quality & quantity — e.g., zinc as zinc picolinate, dosed at 15 mg. And Qualia does a fine enough job of explaining the who’s & what’s of these ingredients (as I’ll further explain below). Despite the creepy, Soviet-like collectivist ethos underlying Qualia’s mission statement (“Our mission is to help build a global alliance of responsible, empowered individuals and like minded groups…”), this formula actually makes for a solid, well-rounded brain health supplement — and I don’t often say that for ingredient-heavy nootropic supplements such as Qualia, which crams 40+ ingredients into two separate products. This is simply a design that doesn’t work, that Qualia surprisingly does make work by doing three things with its formula(s): 1) Maximizes serving sizes (3 capsules, 5 tablets), 2) Supplies sufficient dosages all-around, 3) Enhances quality & potency of its ingredients, notching in a smart bioavailability-enhancing extract of black pepper (as BioPerine®) — at least within the Step Two product. While I grant that Qualia adequately represents each category with its ingredient choices, I’m not entirely convinced that every ingredient listed under each category adequately represents that category — for example, Qualia lists “Artichoke Extract” under Adaptogen Extracts. In fact if you Google “artichoke extract adaptogen,” one of the first results is the Qualia website, suggesting to me that Qualia is innovating (not based on actual adaptogen research) this new definition of artichoke extract. But this is only a minor setback. 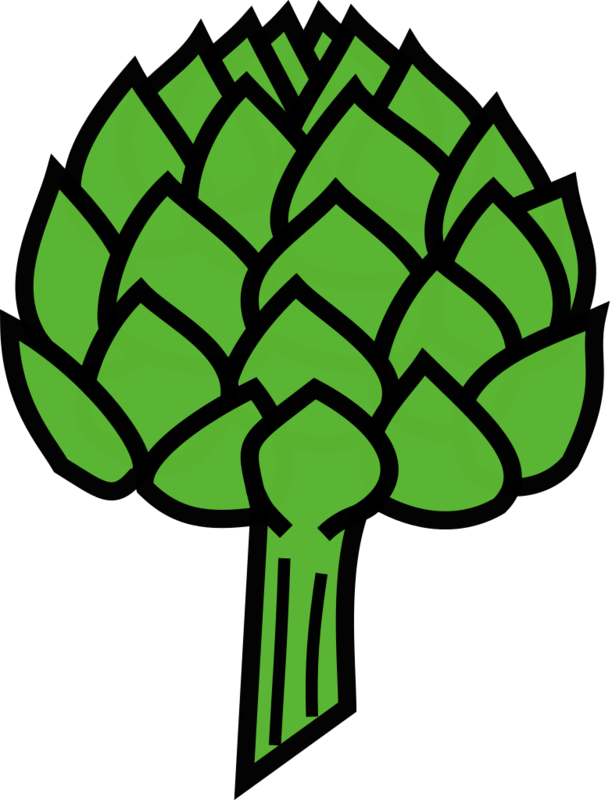 Artichoke extract still benefits brain health. As do most of Qualia’s ingredients. Rather, the only major design flaw with Qualia pertains less to its product than its philosophy: If Qualia intends to empower minds through uniting “like-minded groups,” does this truly empower & expand minds individually? or constrain them collectively? In other words, philosophically, is Qualia the ultimate red pill or blue pill? Qualia takes a broken supplement design (too many ingredients, too much bioactivity) and fixes it with larger serving sizes, heavier dosages, & quality ingredient forms. The nootropic potential of Qualia is impressive, spanning a wide array of cognitive enhancers & protectors for immediate & long-term brain support. The Qualia team proudly shows its faces on their website, indicating that this is a supplement manufacturer that is (I can’t believe it) actually proud of its supplement and willing to stand by it. While Qualia explains the purpose of each ingredient, some additions come across as unusual & unnecessary — e.g., DHEA, which particularly bars WADA-tested athletes from supplementing Qualia. You’re getting substantial bang for you buck here, although the buck is also a limiting factor: it’s a lot of money, more money per serving than I’ve seen in these reviews. Mixed reviews: mostly positive, yet some customer reviews suggest of better, cost effective results by DIY stacking the preferred ingredients here. Highly independent, individualist Silicon Valley liberal-libertarian types, who view nootropics as a legitimate route of transhumanic progression, as well as the collectivist, “science-explains-everything” rational egoists, who spend their afternoons reading Chernyshevsky’s What Is To Be Done? — two seemingly oppositional demographics that, when you take a couple steps back, seem to actually inhabit the same proverbial coin. You can buy Qualia directly through the manufacturers or through various online retailers, including Amazon. Much of what Qualia does contradicts my views on what usually constitutes a good, trustworthy supplement: Qualia packs its capsules & tablets with a lot of ingredients and says things in its ad copy to the effect of The Future is Now. Most supplements on the market that do either of these things almost always deliver bunk, borderline-scammy formulas. Qualia delivers jam-packed, “futuristic” formulas that work well. And Qualia seems to purpose itself as a one-and-done, all-comprehensive nootropic supplement. So, if it works for you, odds are you won’t need more supplements to supplement this supplement. And if it doesn’t, then, well… there are others. Really like your blog, would love to do some work together. Happy to do forms of guest blogging or we have many products you may wish to review. Let me know if you’re interested. I like that this mentioned that Qualia supplements have quality ingredient forms. 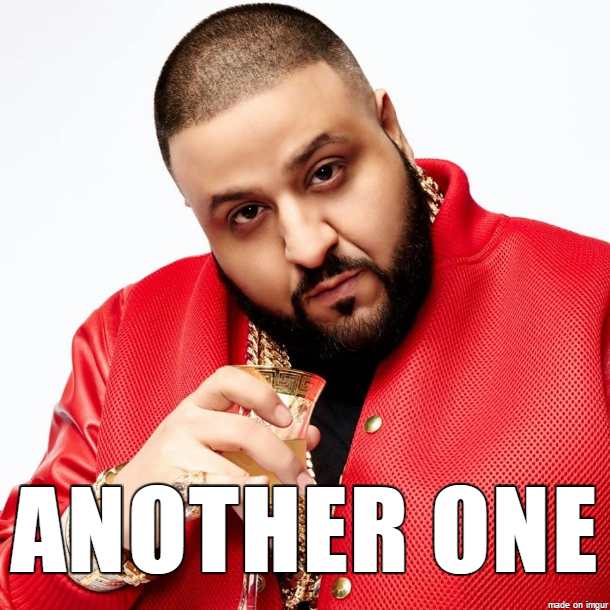 I recently tried taking an over the counter vitamin, but it ended up keeping me awake. What are some of the physical benefits of taking Qualia? Good question. Given the huge number of ingredients here, I’d imagine there are several physical benefits to taking Qualia. For example, Alpha-GPC is a popular ingredient among bodybuilders for its potential boost on resistance training performance. And the nootropics that boost cerebral circulation (e.g., Ginkgo Biloba, Vinpocetine) may also increase blood flow throughout the body. Are there any particular physical benefits or goals you have in mind? I’m not affiliated with Qualia, so I can’t answer these questions for you. I recommend heading to the Contact/Support page on the Qualia website (neurohacker.com) and asking your questions there via e-mail. Thank you for the review! This product is very expensive and basically a hefty investment. I was considering purchasing the caffeine free version of the product. What are your thoughts on that product?